More than 4 billion Euros in sales and doubled net earnings! 2017 was indeed a great year for PUMA. Our full-year sales increased by 16% to 4.1 billion Euros and our net earnings more than doubled from 62 million Euros to 136 million Euros. 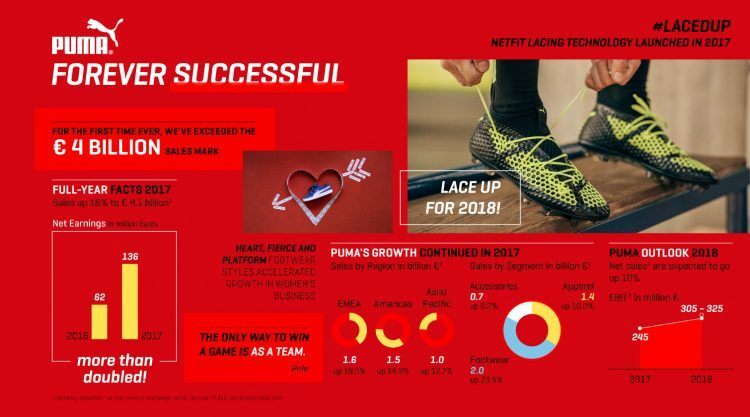 All regions and product segments grew, showing that the PUMA brand and our products resonated well with our customers throughout the last year. Especially our Women’s business was strong, driven by the HEART, FIERCE, and PLATFORM footwear styles. Sales in Europe, Middle East and Africa jumped by an excellent 20% currency-adjusted to 1.6 billion Euros, with France, the DACH region (Germany, Austria and Switzerland), the UK, Russia and South Africa growing by double-digit rates. Sales in the Americas rose by 14% to 1.5 billion Euros. Both North and Latin America contributed with double-digit growth rates. 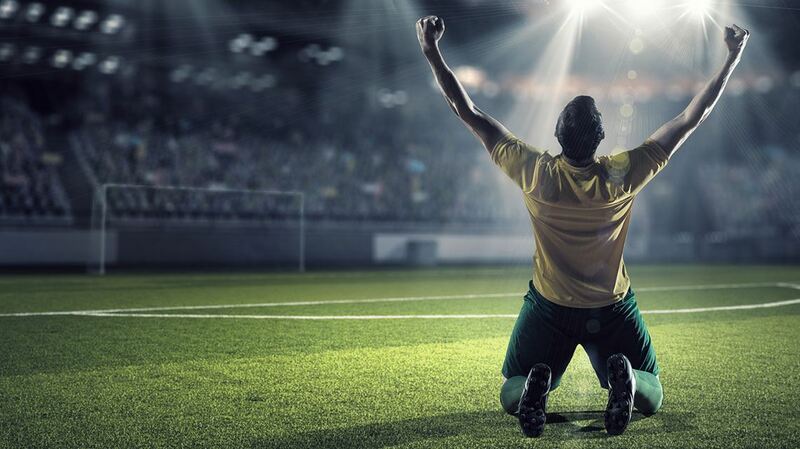 In Asia/Pacific, sales climbed by 13% to 995 million Euros and the main growth drivers were China and Australia. Footwear sales rose by an incredible 24% to almost 2 billion Euros. 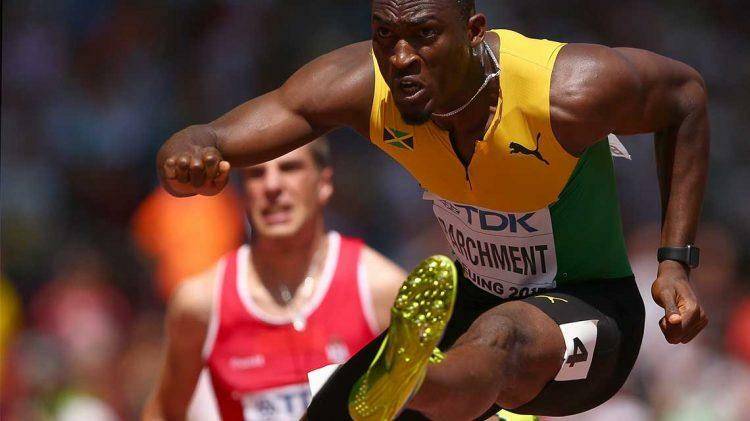 Especially, Running and Training and Sportstyle supported this development. Apparel grew by 10% to 1.3 billion with the Sportstyle category and especially Women’s products , supporting this increase. 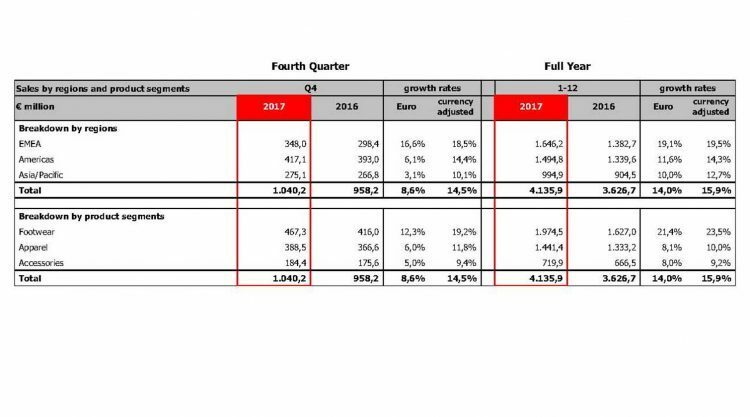 Accessories climbed by 9% to 720 million Euros, which was mainly driven by socks, underwear, headwear and bags and backpacks, while PUMA’s Golf hardware business remained stable. This momentum together with positive feedback from consumers and our retail partners makes us look positive into 2018. 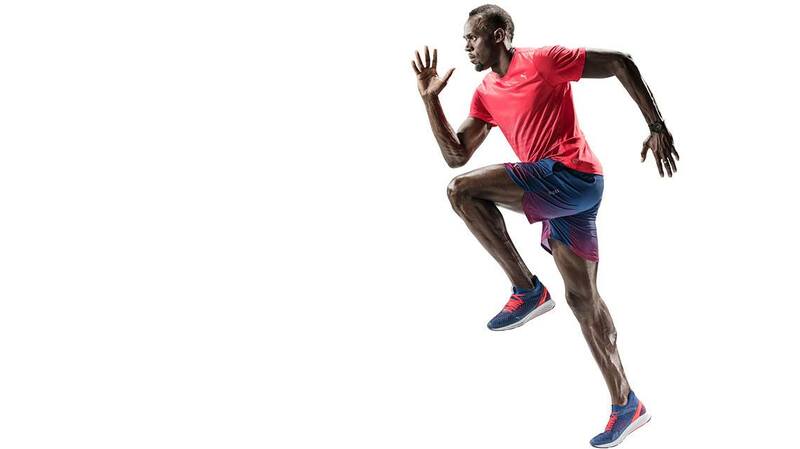 For this year, we expect that PUMA’s sales and profits will continue to grow. Currency-adjusted net sales should rise around 10% and the earnings before interest and taxes (EBIT) are expected to come in between 305 million and 325 million Euros, after 245 million Euros last year. Net earnings will also improve significantly. Based on our positive business development and a significant increase in earnings and cash flow, our Managing Directors and the Administrative Board will propose a one-off total dividend of € 12.50 per share for the financial year 2017 at PUMA’s Annual General Meeting on 12 April. “We are proposing a one-off dividend of € 12.50 a share to our long-term and patient shareholders, who have been very supportive through difficult times. Given our positive momentum and our solid balance sheet, we think this is fair,” said Bjørn Gulden. 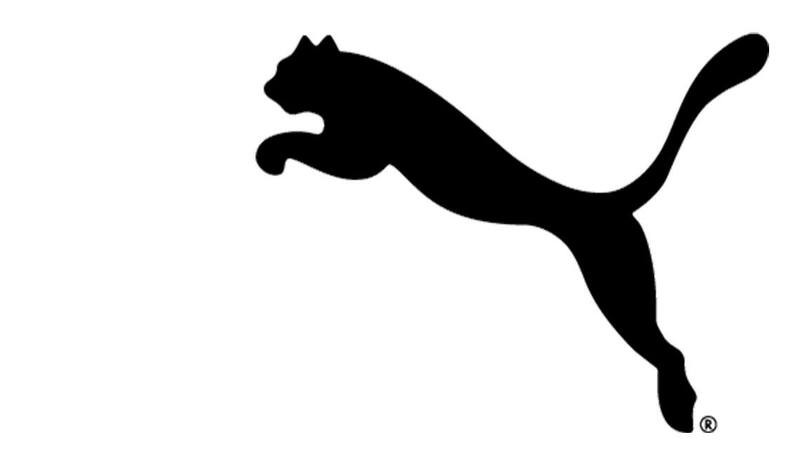 Last year, PUMA paid € 0.75 per share as a regular dividend. "2017 was a great year for us at PUMA. This momentum together with positive feedback from consumers and our retail partners makes us look positive into 2018."